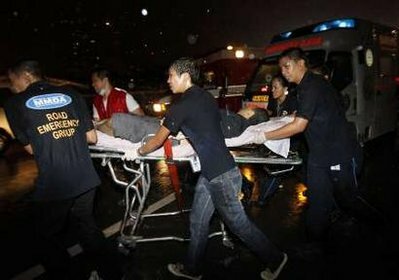 Bus Hostage Crisis:Why Rolando Mendoza had to resort to this? 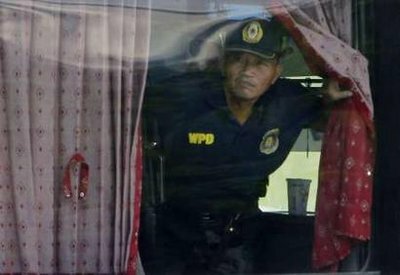 It is always easy to say that former Chief Inspector Mendoza had lost his sanity when he resorted into a Bus Hostage Saga yesterday. Losing his own life and 8 others in a bloody shootout is indeed horrible. 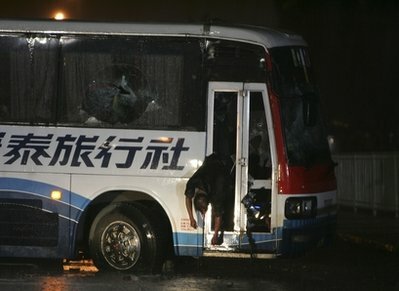 Surely, this incident will create a new picture of the Philippines in the international view. It is very unfortunate that this had to happen when our country is in the verge of reaching out for the best that is said to yet to come. When a new hope is brightly shinning in every Filipino faces. When the government is in the course of transforming itself into what P-noy says, “Tayo na sa tuwid na daan tungo sa kaunlaran”. Yet, this incident poses a great challenge not just for the government of the Philippines, but for every Filipino. 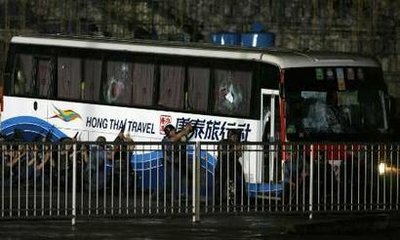 August 23, 2010, the crisis began when former Police Senior Inspector, a 55 year old Rolando Mendoza, seized a tourist bus on its stop at Fort Santiago in Intramuros, Manila, hijacking 26 of its passengers mostly Chinese nationals from Hong Kong. In the course of the drama at the famous Quirino grandstand, Mendoza released nine hostages, leaving behind at least 16 others. He later succumbed to a sniper’s bullet in his temporal lobe. His demands? Give him back the job. I feel terribly sorry, for the innocent victims. I cannot imagine myself being inside of that bus, in this very horrifying situation with an uncertain result where death is very vividly possible any moment. My heart goes to those who perished from this insensible death. This is indeed a very sad moment for the Philippines. This is very consequential in as much as international relations, investments, security and tourism factors are concerned. According to Mendoza’s brother, another policeman Gregorio, his brother Rolando is very disappointed about his fate in his career after he was unjustly removed from service last January. Putting to waste all his 31 years of service and losing all his retirment benefits. Mendoza, a well decorated recipient of 17 awards and commendations whose house, according to son Police Officer Bismark, is full of laminated plaques, claimed he was not accorded due process. In 2008, an administrative case was brought against Mendoza after he and 4 other policemen allegedly extorted PHP 20,000.00 from Christian Kalaw, a chef at Mandarin Hotel, who was also said to have been forced to swallow a sachet of “shabu” (methamphetamine hydrochloride). The police officers involved, reportedly cited Kalaw for illegal parking, driving without a license and use of illegal drugs on April 9, 2008, in Manila. The brother said, Mendoza even contemplated on filing an impeachment proceedings against Ombudsman Merciditas Guttierez for failing to serve him justice. Mendoza, in a phone interview with ABS CBN’s Jorge Carino hours before he was gunned down, said he wrote an appeal to Guttierez three times but never got a response, not even a copy of the Ombudsman’s final decision of his case. In desperation, Mendoza said his life is senseless. Again, everything goes back to the system where we are all in right now. Whoever or whatever inflicted it on us, be it the government, judiciary, legislative, poverty or corruption, I hope this lesson is well learned and never forgotten.